Irish cheer will be poured early this year, Boston, because the Get Shamrocked party on the night of Saturday March 16th is not to be missed. This green gathering will be serving up non-stop shots of luck and hours of revelry. Pints will clink and music will flow as this city’s most spirited crowd parties into the wee hours of the morning, putting leprechauns to shame. 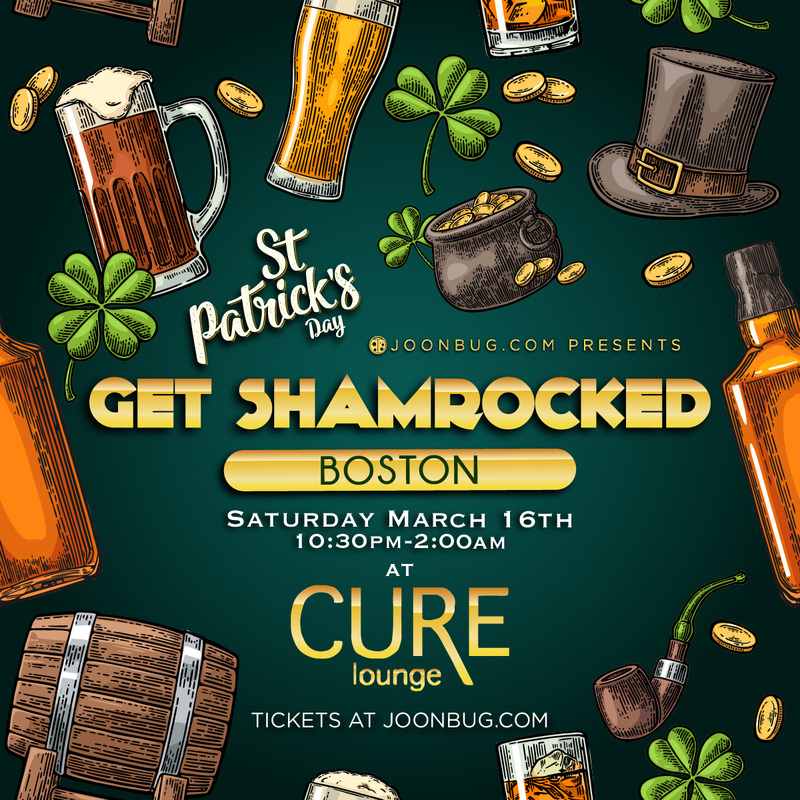 The Get Shamrocked party on Saturday March 16th is part of a weekend of festivities that will prove Boston knows how to celebrate St. Patrick’s day right. If there’s one thing at the heart of Beantown, it’s Irish blood, and we promise to do St. Pat proud. Find out what the craic is at the Get Shamrocked party this St. Patrick’s Day weekend.